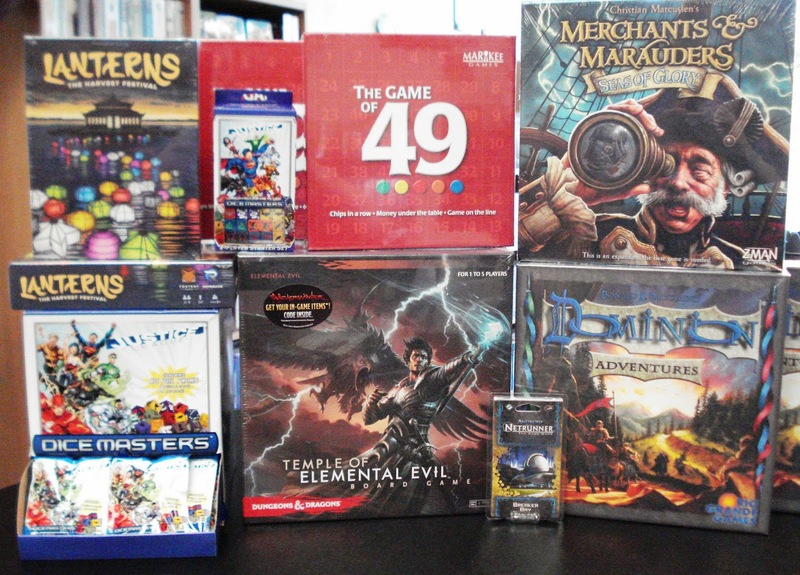 Ooh, some really nice games and game expansions came in with this week's shipment. 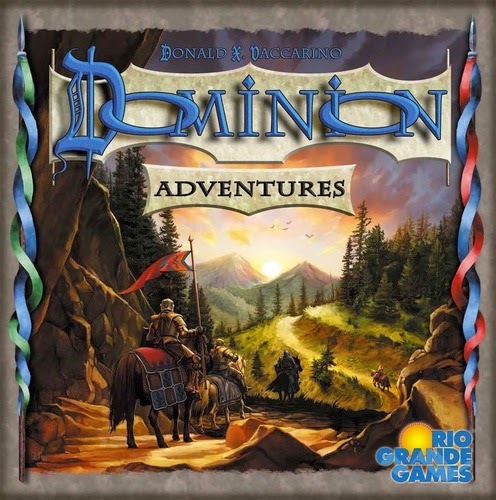 Just released from Rio Grande Games is Dominion: Adventures, the 9th addition to the popular deck-building game, Dominion. This latest game expansion, Dominion: Adventures contains 400 cards, 6 tavern mats, and 60 tokens. There are 30 new Kingdom cards, including the return of Duration cards that do things on future turns as well as Reserve cards, and Traveller cards. Reserve cards have an ability that puts them on a player's Tavern mat. Later at the player's choosing, he/she can "call" the card into play and use it's ability. Traveller cards have an added feature to their normal ability. In the Clean Up phase a player may exchange that card with one of a higher ability. New also are the Event cards that gives a player something to buy besides cards, including tokens that modify cards. 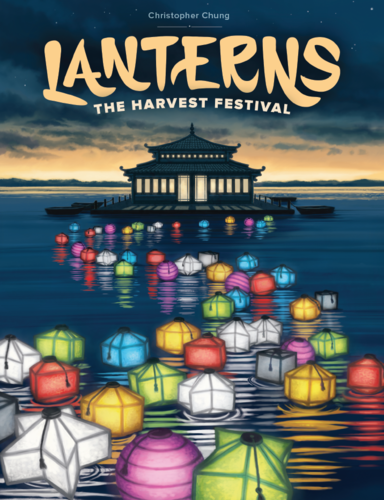 New from Renegade Games is Lanterns: The Harvest Festival, a quick-playing tile laying with set collection game for the whole family. Lanterns features a unique mechanic where players must balance the placement of their tiles or risk helping their opponents on their way to victory. On a turn, a player places a tile depicting various color arrangements, and every player receives lantern cards based on the tile placed. Players dedicate sets of lantern cards to gain victory point tiles. We have an open copy of Lanterns available in our Demo Games Library for you to come in and try. Watch this video by Gameboy Geek to learn more about Lanterns. 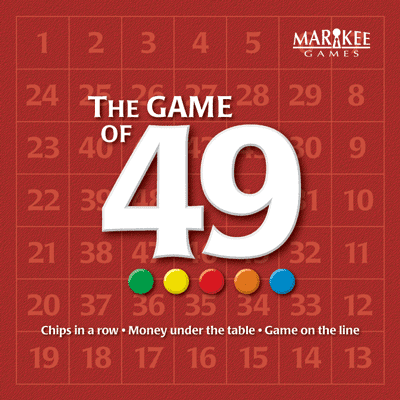 New in from Markee games is The Game of 49, an auction bidding game. In The Game of 49 there is one simple rule - get 4 of your chips in a row on the main game board. Sounds easy enough. Now all you have to do is out bid your opponents to buy the spaces you want and try to block your opponents. Players each start the game with $49 to be kept hidden and a set of player chips. The 49 game board is placed in a central play area along with the card tray containing face down number cards. Each player in turn will draw the top number card and offer it up for auction. Bidding proceeds in turn order and continues until all but one player have passed. This player places their player chip on the number space as the on the card. There are Wild/Payoff cards that can come up and are auctioned off in the same manner as the number cards. These cards can be one of 2 types: 1) indicate a number range that allows the player to play on any space within that range, or 2) a wild 49 card that corresponds to the coveted center spot on the game board. After the Wild/Payoff card has been acquired all players receive income from the bank equivalent to the number of chips they have on the board. Players must carefully manage their money and carefully weigh when to spend big to block an opponent or save and hope their winning number turns up next. 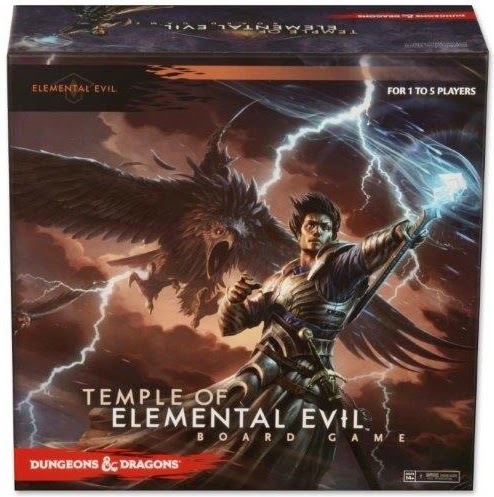 Another new board game in is Temple of Elemental Evil, the 4th in the D&D Adventure System Cooperative board games series. The Temple of Elemental Evil board game features multiple scenarios, challenging quests and cooperative game play designed for 1-5 players. The contents can also be combined with other D&D Adventure System Cooperative play board games, including Wrath of Ashardalon, Legend of Drizzt, and Castle Ravenloft. 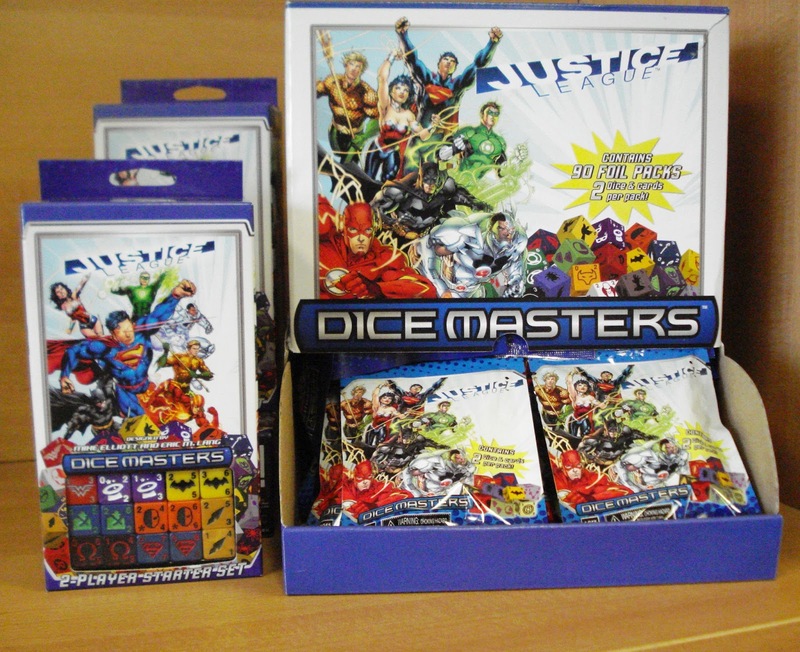 Also releasing another in their Dice Masters line from WizKids is DC Comics Dice Master: Justice League. Arriving in this week is the 2-player starter sets and the dice and card foil expansion packs. In Dice Master: Justice League your superheroes include Superman, Wonder Woman, Batman, Martian Manhunter, The Green Arrow and more. 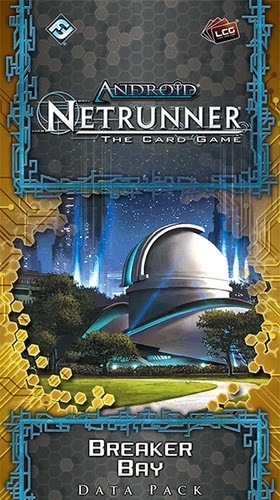 In from Fantasy Flight is the latest data pack expansion, Breaker Bay for the base game Android Netrunner. Android Netrunner is a 2-player card game of cyber struggle set in a dystopia future where man and machine live side by side. Powerful mega-corporations, intent on advancing their agendas, must protect their valuable data from elite hackers known as runners. Each player assumes the role of either a corporation or a runner in a contest of wits, deceit, and calculated risk. The is Breaker Bay data pack contains 60 new cards designed to augment Corp and Runner decks - cards 21-40 of the SanSan Cycle. 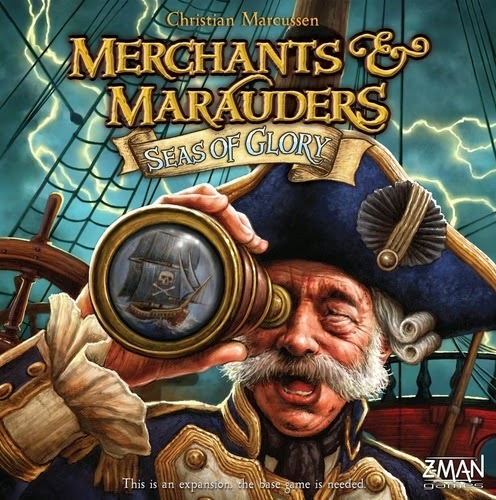 Back in stock is Merchants & Marauders Seas of Glory, the expansion to Merchants & Marauders. This hefty expansion offers a modular experience with eleven new challenges you can mix and match to constantly renew your search for glory at sea. With many new mechanics such as changing winds, smuggling, and crew satisfaction; as well as five variants, Merchants & Marauders will never be the same.